M3 Aerial Productions is hosting a UAV ground school at Southport. 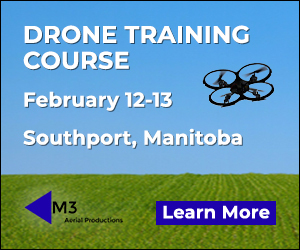 Anyone in Manitoba who is interested in learning about the rules and regulations governing the operation of unmanned air vehicles (UAVs) for commercial and research purposes should attend this workshop. To learn more or to register for the course please visit the website.